We do not have curators’ email addresses, and can not facilitate any introductions. 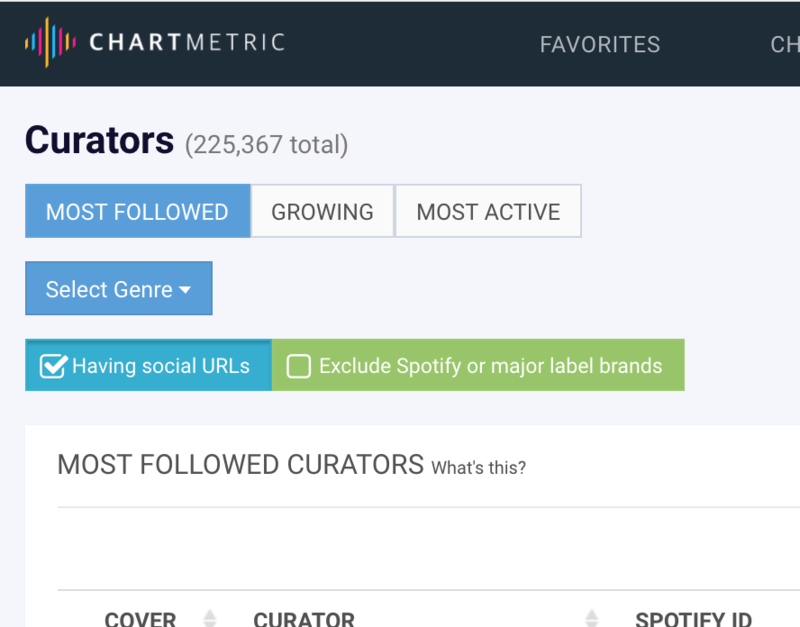 On the Curators page if you check 'Having Social URL's' you will see only curators who have links to their social media on their Chartmetric page. This could be their Twitter, Facebook or Instagram URL’s and may assist you in reaching them. We built this database over time and every effort is made to keep it accurate. Please remember that curators receive 100's (if not 1000's) of submissions per day, so be patient and ask nicely. There are a number of websites which allow you to submit music to curators. One example is SubmitHub.